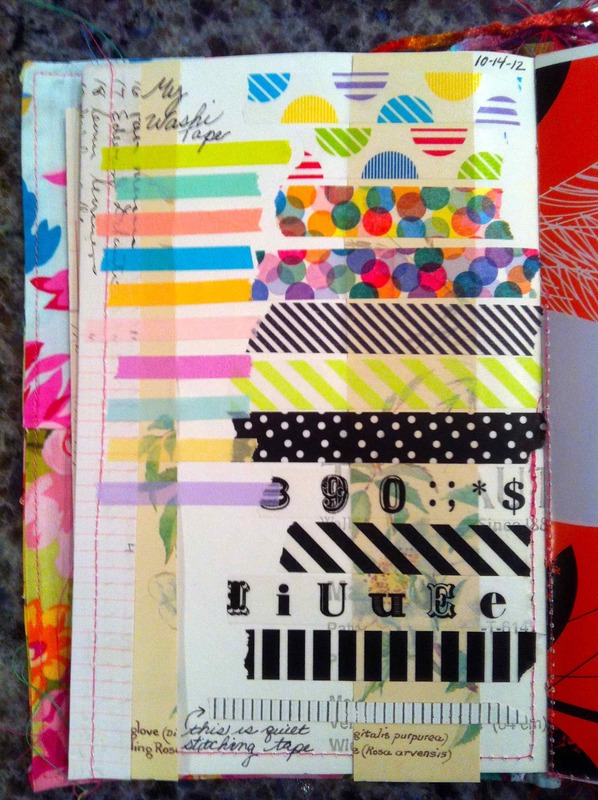 This week’s prompt from Hanna and Tammy is Washi Tape Favorites. My collection is small compared to other artists so I decided to add one piece of each roll I had onto the page. I like them all, especially the thin solid colored ones. Take a look at the one on the bottom. That is not Washi Tape, but Quilter’s Tiger Tape that is used when you are hand stitching a quilt. It’s a bit thicker and not see through like the Washi, but it’s a wonderful addition to art pages. Until next time – Keep It Simple! This entry was posted in 2012 and tagged art journal, supplies. Bookmark the permalink. What a fun collection! I see some familiar patterns and some new tapes to explore. Thank you for playing along! Lovely collections !! !I love masking tape too . I gonna to start filling in the List Journal too . You have a beautiful collection! Thanks for sharing Marci!